If there was any doubt about it, there is no more about the stealthy CIA-coordinated soft coup being conducted by the U.S. Intelligence Community against the Trump administration. The New York Times quite shockingly outed itself as a co-conspirator with Deep State in the execution of this coup d’état. By publishing a fake Op-ed by an alleged anonymous member of “The Resistance” supposedly inside the White House, the NYT shredded what little credibility they had left. Not only that, but the ultra-liberal publication has now provided irrefutable evidence of its direct collusion with a Deep State traitor in the White House in an insurrection against the POTUS. Wow…you can’t make this stuff up. What’s especially striking about this journalistic hit piece is how incredibly juvenile and ridiculous it was. The content could have been written by an extreme left-wing Democrat who is running for office and looking to unseat his conservative Republican opponent. It really was that amateur an attempt to pass it off as a plea from a so-called high-level insider. KEY POINT: Holding high the traitorous John McCain was a dead giveaway that this hoax was a desperate Deep State attempt to rally the insurgents around the next phase of their Purple Revolution. Really … John McCain … Deep State’s Shadow Secretary of State, who was both an inveterate warmonger and war criminal. What wasn’t amateur about the Op-ed, however, is the language which distinguished it as a seditious solicitation for assistance in overthrowing President Trump. 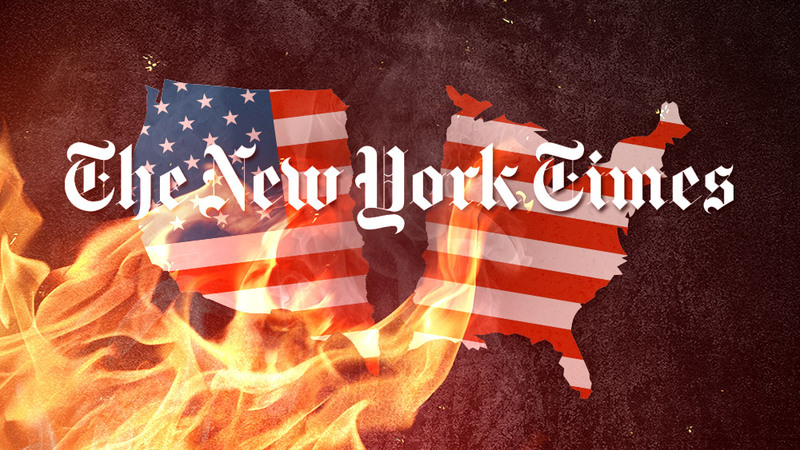 That the NYT executive staff made the decision to print the appeal to Americans everywhere makes them automatically an accessory to treason…stone-cold TREASON. For anyone who doubts this self-evident conclusion, the concerned NYT Op-ed is posted below in its entirety.